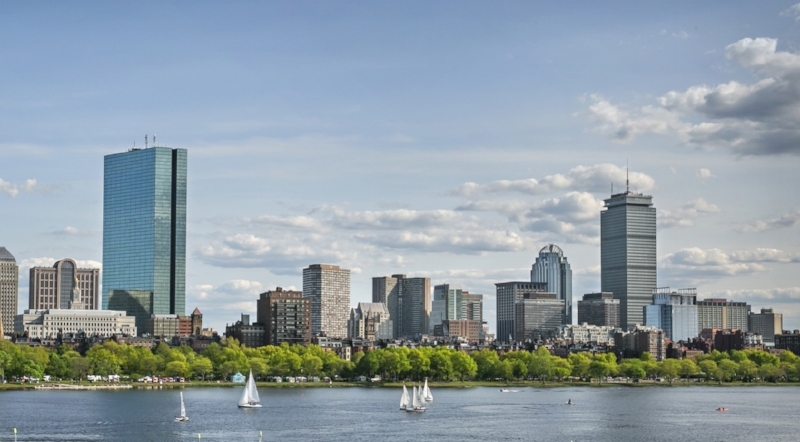 Heading to Beantown for the biggest industry event of the year? The CUPS team is attending this year’s Specialty Coffee Association expo, and you can be sure we won’t miss an opportunity to visit some of Boston’s best coffee shops. Here’s where to catch us throughout the weekend when we’re not hitting the conference floor, and where you should absolutely stop if you’re looking for a delicious coffee while you’re in town. Want to meet the CUPS team while we’re around? Drop us a line on Instagram @cupsworks. Who knows, you might even get some free swag out of it…. 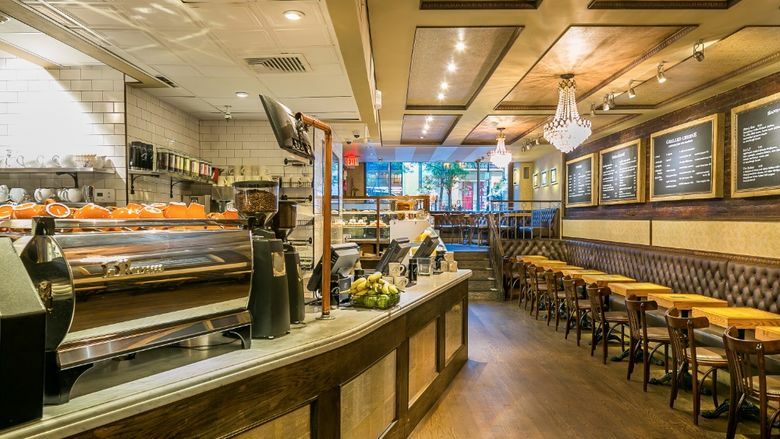 Gracenote is a tiny coffee bar serving up coffee drinks in Chinatown. Don’t take its seemingly simple menu to mean simple in flavor: this small yet powerful cafe is a main player in the Boston coffee scene. 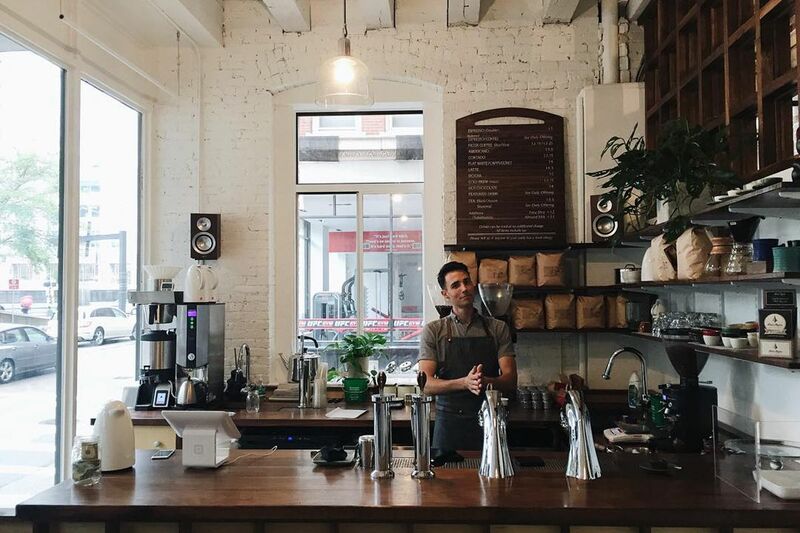 They’ve managed to find the perfect balance between specialty coffee talent and customer service, providing you with a homey environment to sip your brew. However, don’t expect to settle in for a day of work, they close at 4:30 PM on weekdays, 3 PM on Saturday, and 4 PM on Sunday so roll through sooner rather than later for your caffeine fix! 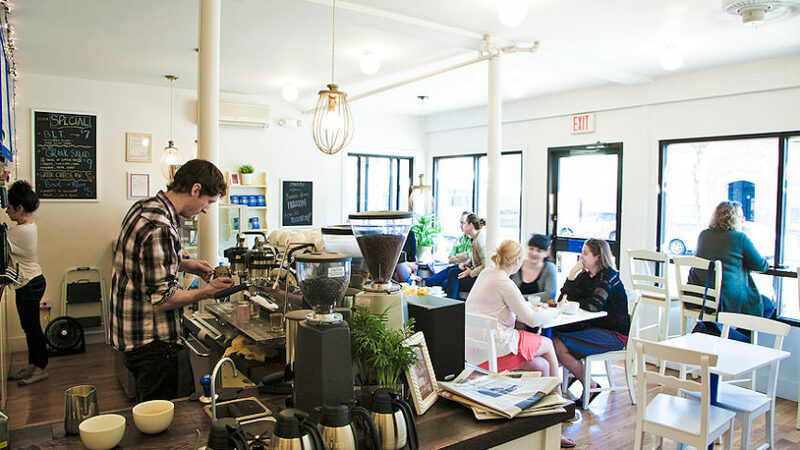 4A is an unpretentious mom-and-pop coffee shop with the pure goal of giving you the best espresso drink you’ve ever had. The shop itself is very minimalist, so 4A’s coffee speaks for itself with its expertly roasted small batch beans. Because of this, they’ve accumulated a loyal following in Boston and we are one of them! 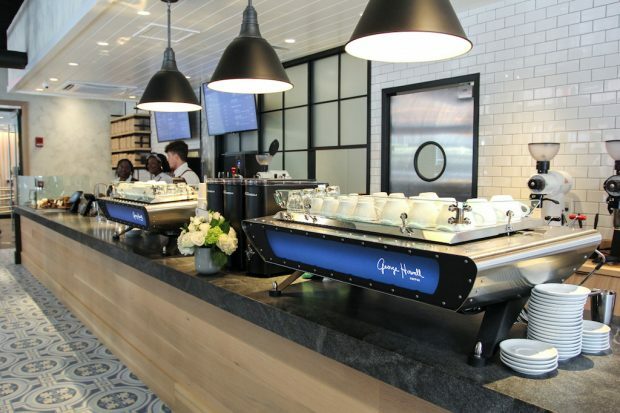 George Howell is one of the original specialty roasters, and the location inside the Godfrey Hotel, is the perfect spot to sip, sit, and relax. With a beautifully set-up retail section, tasteful color scheme, and enormous marble counters, there aren’t enough excuses in the world to come and hang out. Not to mention, they also offer regular classes and events pushing these guys even higher up our list! 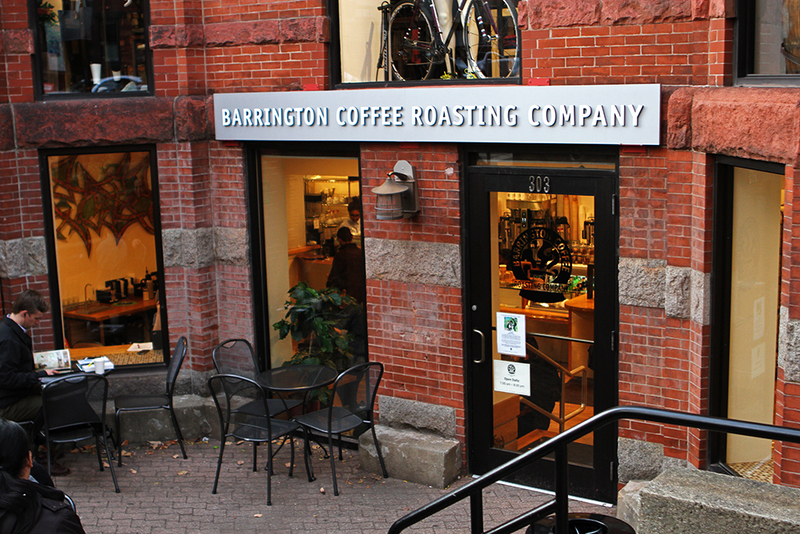 They also provide their beans not only to nearby cafes and restaurants, but also places outside of Boston as well, so don’t fret if you don’t get a chance to physically check out this top spot – their coffee is well worth trying at other spots! Loyal Nine began as a high-end restaurant serving up New American cuisine and we’re so glad they decided to start cafe service during the day. 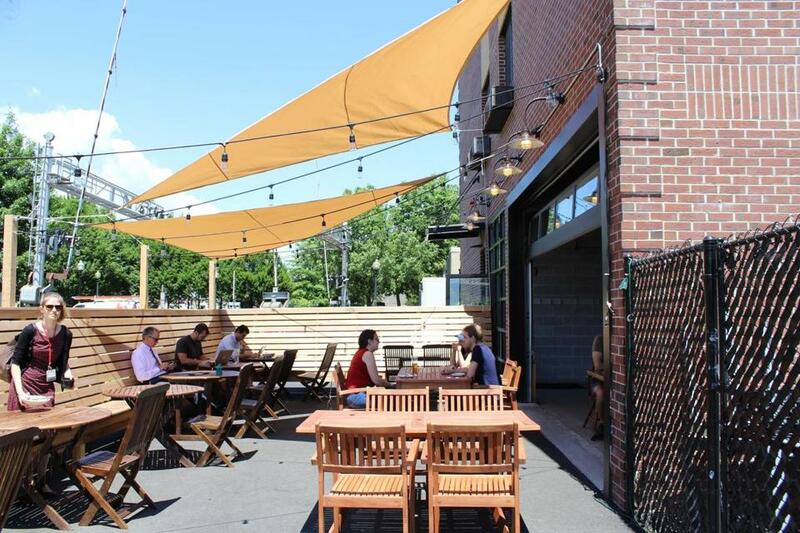 They are located next to a railroad track and the inside is filled with long wooden tables and giant garage doors that open up to a beautiful outdoor patio space, so they’ve fully mastered the upscale rustic vibe. Along with their ethically sourced coffees and teas, Loyal Nine serves up some of the best food imaginable thanks to the restaurant kitchen. We could easily spend all day here for work and pleasure, and be more than happy to top it all off with a New England inspired meal. 3 Little Figs is a small, unassuming shop with every kind of coffee-related drink you can imagine. They have it covered from espressos, to pour overs, to French press method, to cold brew. The baristas are always looking out for the customers, and they carefully source the very best beans, most of which come from local New England roasters! If you’re a health nut, next door is their sister space, Health Club, where you can pick up a health-conscious, plant-based meal or smoothie. 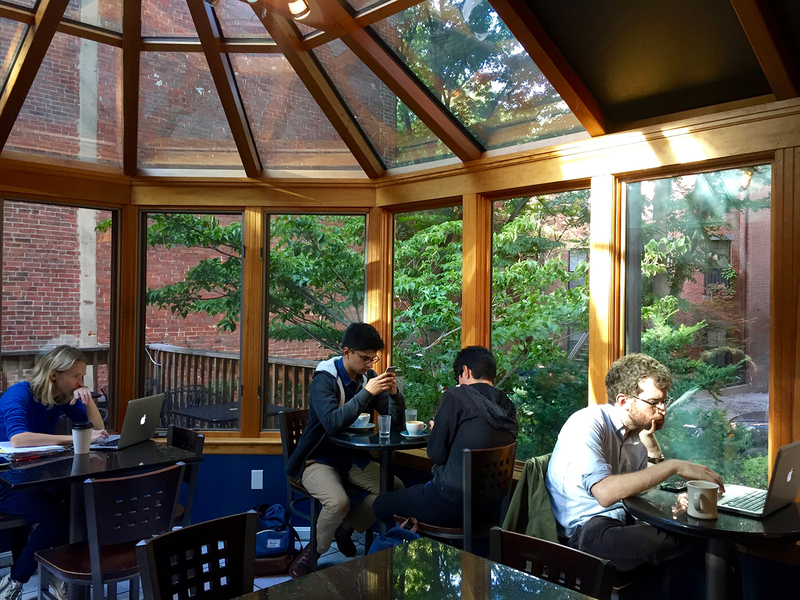 Render Coffee puts their coffee first, but their enormous back atrium with 360 windows is a close second. Although their espresso-based drink selection is impressive, Render is most famous for its signature pour-over. They have mastered the 3-4 minute process that forces you to “take time and smell the coffee” and have managed to convert no-fuss cover lovers into lifelong pour-over believers. If you’re feeling hungry, they also offer a killer quiche and tasty sandwiches (go for the BLT!) Complete with strong Wi-Fi, we could easily drink the day away at Render. Spitting distance from Boston Common, Thinking Cup is our favorite pre-walk in the park (and post-walk, let’s be honest) spot to caffeinate. Serving up exclusively Stumptown and Third Wave Coffees, they offer some of the best beans out there. Make sure to bring a friend, as the quirky, vintage decor makes for a cozy ambiance that makes you want to bring a friend to spend the day snacking on pastries and people watching.